Photos and profiles of the 4 Nigerians who are to be executed in Indonesia for drug trafficking. Martin Anderson: 50 year old Martin Anderson was arrested in Jakarta in 2003 on a charge of possessing about 1.8 ounces of heroin and was accused of being part of a local drug ring. He had traveled to Indonesia on a fake Ghanaian passport and has been incorrectly identified as Ghanaian. He was sentenced to death in 2004. According to his lawyer, Kusmanto, who like many Indonesians uses one name, Mr. Anderson was shot in the leg during his arrest — a method the Indonesian police are sometimes known to use when apprehending a suspect — and remains bothered by the wound to this day. 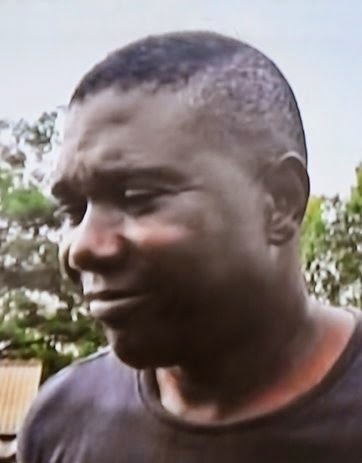 Silvester Obiekwe Nwolise’s story, as his wife tells it, is similar to those of other Nigerians on Indonesia’s death row for drug trafficking. Unemployed in Lagos, Nigeria’s largest city, he was lured to Pakistan by fellow Nigerians on the promise of a job with good wages. But once in Pakistan, instead of a job, he got an offer to swallow some capsules – filled with goat horn powder, his wife, Fatimah Farwin, says he was told – and fly to Indonesia. Arrested in 2001, Mr. Nwolise was convicted the following year of bringing 2.6 pounds of heroin into the country, and was sentenced to death. During his trial, according to Ms. Fatimah, Mr. Nwolise had no translator, and his Indonesian lawyer could barely communicate with him. She said that a judge, through an intermediary, offered to sentence him to prison rather than death if he paid a bribe of 200 million rupiah, worth about $22,000 at the time. “But he was just a poor courier. He didn’t have any money,” Ms. Fatimah said. Ms. Fatimah, who is Indonesian, met Mr. Nwolise in prison in 2007, when she was accompanying a friend who was visiting another inmate. The two married later that year; they have since had two children, now 5 and 3, but she has not brought them to see him since they were infants. She has told them that their father is working in an office in another country. In January, the Indonesian police accused Mr. Nwolise of running a drug syndicate from prison. No charges were brought, but Ms. Fatimah, who says emphatically that her husband is innocent of the accusation, believes it resulted in his being placed in the group of inmates now facing imminent execution. Mr. Abashin readily agreed, but soon wished he hadn’t: The package contained nearly 12 pounds of heroin, and he was arrested after landing at Surabaya’s airport. Mr. Abashin, who was traveling on a false Spanish passport, contended he was duped. He was convicted in 1999 and sentenced to life in prison, which was reduced to 20 years on appeal. State prosecutors challenged the sentence reduction before the Indonesian Supreme Court, which in 2006 sentenced Mr. Abashin to death. In a request for presidential clemency in 2008, he admitted knowingly smuggling the drugs. The request was denied in January. The Indonesian government refers to him as Raheem Agbaje Salami, the name on the fake Spanish passport he was using when he was arrested. Ursa Supit, an Indonesian legal activist who is advocating on Mr. Abashin’s behalf, says that because he had no money, he was assigned a state lawyer for his trial and had no legal counsel when he appealed to the Supreme Court. Mr. Abashin, who now has a lawyer, is challenging Mr. Joko’s rejection of his clemency request. The YouTube clip shows what seems to be a typical Sunday religious service at a small church. A young African man, accompanied by an Asian guitarist, sings a heartfelt gospel song as the audience sings along. But the camera does not show the security guards, iron bars and barbed wire fences that would have indicated this was no ordinary place. 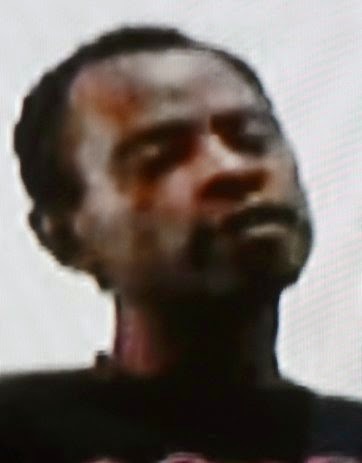 The singer, Okwudili Oyatanze, was giving his regular performance at a penitentiary outside the Indonesian capital, Jakarta. 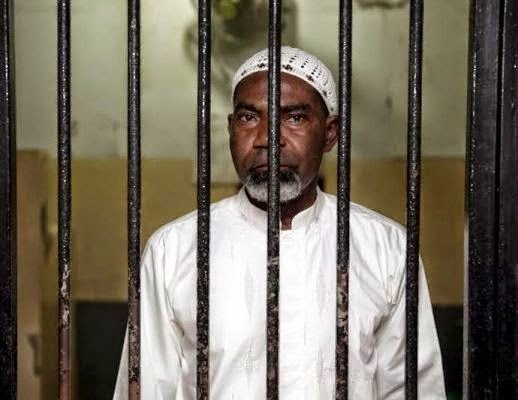 Known in Indonesia’s penal system as “The Death Row Gospel Singer,” Mr. Oyatanze, 41, was arrested in 2001 while trying to smuggle 5.5 pounds of heroin through Jakarta’s international airport, in his stomach, after arriving on a flight from Pakistan. He was convicted the following year and sentenced to death. Mr. Oyatanze has made the most of his incarceration, writing more than 70 songs and recording multiple albums behind bars. He has performed with prison guards as well as fellow inmates. In the video, shot in 2008, Mr. Oyatanze sang his song “God You Know,” which was also the name of an album he released that year. “He has turned his life around in jail,” said the Rev. Charles Burrows, a Catholic priest from Ireland who now lives in Indonesia and is offering religious counseling to Mr. Oyatanze as he awaits his execution. Raised in Southeastern Nigeria, Mr. Oyatanze started a garment business in 1999, traveling to Indonesia to buy clothing and resell it in Nigeria. The business collapsed, and Mr. Oyatanze, heavily in debt, traveled to Pakistan to try to revive it, at the suggestion of a fellow Nigerian living there. The plan involved swallowing capsules of heroin before boarding a flight to Jakarta. “There was a chance to earn some easy money, so he became a courier,” Mr. Burrows said.